About 10 minutes’ walk from Tokyo Station, the Sotestsu Fresa Inn Tokyo Kyobashi is a small and efficient business hotel with super reasonable rates that almost put it in the budget category. Located in Kyobashi, which is a short walk southeast of Tokyo Station, the Sotetsu Fresa Kyobashi is an excellent value considering its proximity to Tokyo Station and Ginza. It’s impossible to find another hotel this close to Tokyo Station offering these rates. The rooms are small but efficient and well equipped, as is typical of business hotels in Japan. There are some very convenient features for the traveler, including a coin laundry and free coffee and tea. In short, this hotel is nothing fancy, but it really does the job, so if location and reasonable rates are your main criteria, you will be happy here. 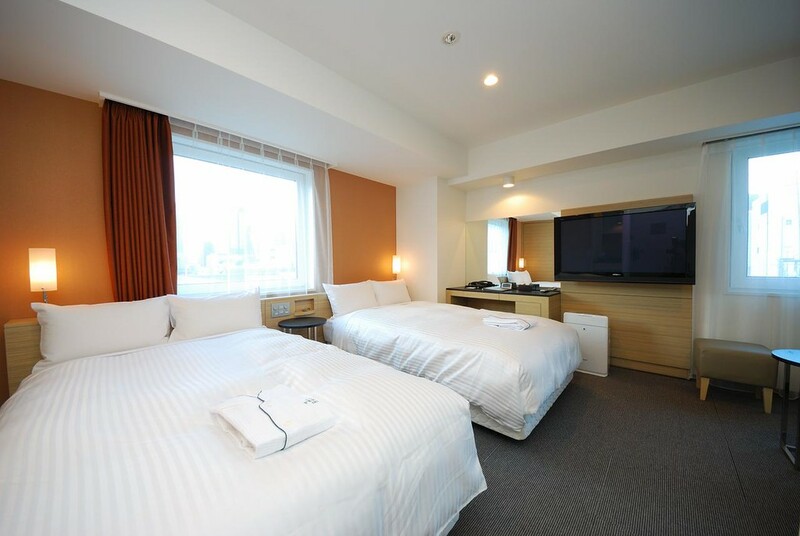 :: Check availability and pricing for the Sotetsu Fresa Inn Tokyo Kyobashi on Booking.com or Agoda.com. Subway: 1-minute walk from exit A7 of Takaracho Station on the Toei Asakusa line. Subway: 2-minute walk from exit 6 of Kyobashi Station on the Tokyo Metro Ginza line. Train: 8-minute walk from Yaesu South exit of Tokyo Station. Sotestu Fresa Inn Tokyo Kyobashi is located in Tokyo's Toyko Station and Marunouchi area. See our complete list of things to do in Tokyo's Toyko Station and Marunouchi area, including places to eat, nightlife and places to stay.